It’s been years since any significant portion of our business has been Termite Pre-Treatments on new construction. Since the housing market nose dived several years ago, the business we get from Pre-Treatments has been few and far between. 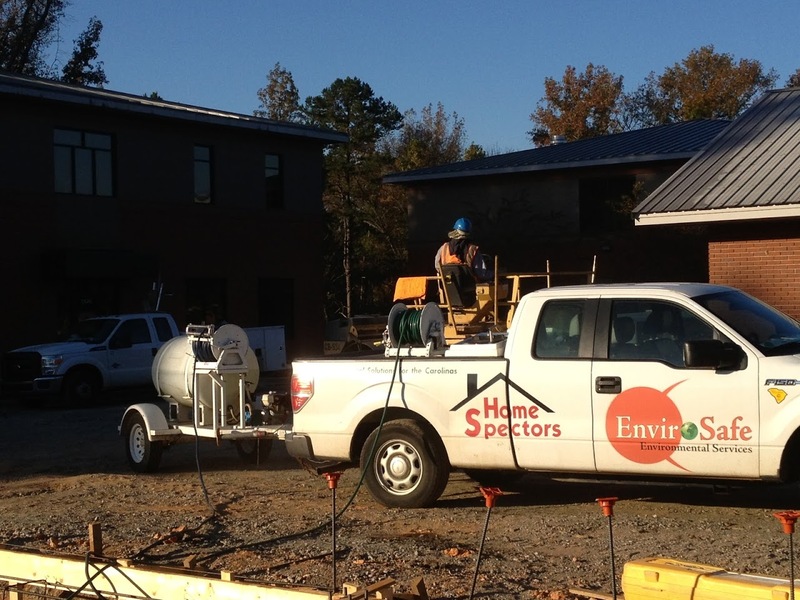 For example, in 1999, Envirosafe performed over $60,000 in Soil Pre-Treatments for builders. Compared to a dismal $9,000 in 2010. Additionally at one time, we performed all the treatments for modular home row on Hwy 21 in Rock Hill. These businesses were Oakwood Homes, Luv Homes, and several others. All have since went belly up vacant lots stand where these businesses once stood. Thankfully today the Environmental Business we do including asbestos, radon, lead paint, mold, underground storage tanks etc, more more than makes up for the business we lost when the housing market crashed. Residential and commercial pest control accounts continue to thrive for us, but we have not recovered in the area of soil pre-treatments for termites. However, reports from the National Pest Management Association look promising and today we did a 12,000 square foot building in Lancaster South Carolina. Pre-treatments are easy money and good repeat business. It felt good getting back to what got us on the map in the first place. I left out at 6:30 this morning because the builder needed us there early. Nice fall morning doing work we haven’t seen much of over the past couple years. Hopefully this portion of our business will come back like it was in our glory days of doing several pre-treatments a week. For more information about our services, check out our seven websites listed below this picture.